Together with Liquidity Winery, Okanagan College is presenting the third installment of its popular Wine Talks series on Tuesday, Oct. 24 at the College’s Penticton campus. The third event will feature a single keynote speaker whose recognition and distinction in the industry is notable. John E. Peller, LLB, is the Chair and CEO of Andrew Peller Limited. His company’s brands include a growing number of Okanagan wineries, among them are Sandhill, Calona Vineyards and Red Rooster. 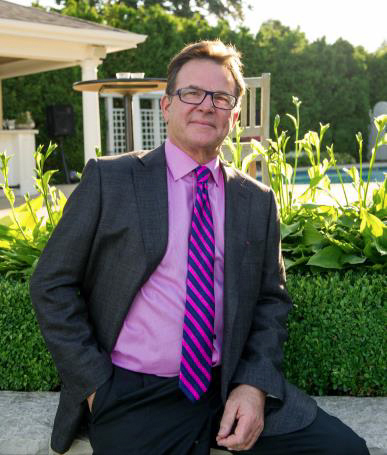 Andrew Peller Limited made headlines this month when news broke of a $95-million-dollar deal to acquire three additional Okanagan wineries: Black Hills Estate, Gray Monk Estate and Tinhorn Creek Vineyards. Peller began his legal career in 1980 in Hamilton, Ontario where he practiced corporate and commercial law. 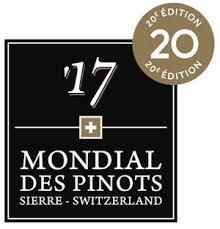 He spent a year in France attending the L’institute de Touraine for six months and worked for six months with DeLuze, the wine subsidiary of Remy Martin. He spent the next four years in New Jersey working with Nabisco Brands Inc., first as Manager, Corporate Planning and Development and then as Regional Marketing Manager for the Grocery Products Division (North East Division). He joined Andrew Peller Ltd. in 1989, assuming the role of Vice President, Sales and Marketing Planning. He was appointed to the Board of Directors in 1990 and to the position of Executive Vice President, Sales and Marketing in 1991. He became President and Chief Operating Officer in 1992, then President and Chief Executive Officer in 1994. He is currently Chair and Chief Executive Officer. Wine Talks will be held on Tuesday, Oct. 24 at the Penticton campus of Okanagan College (room PC 113, 583 Duncan Avenue West), from 7 to 9 p.m., including a coffee and wine break. Tickets are $20 and can be purchased online here. 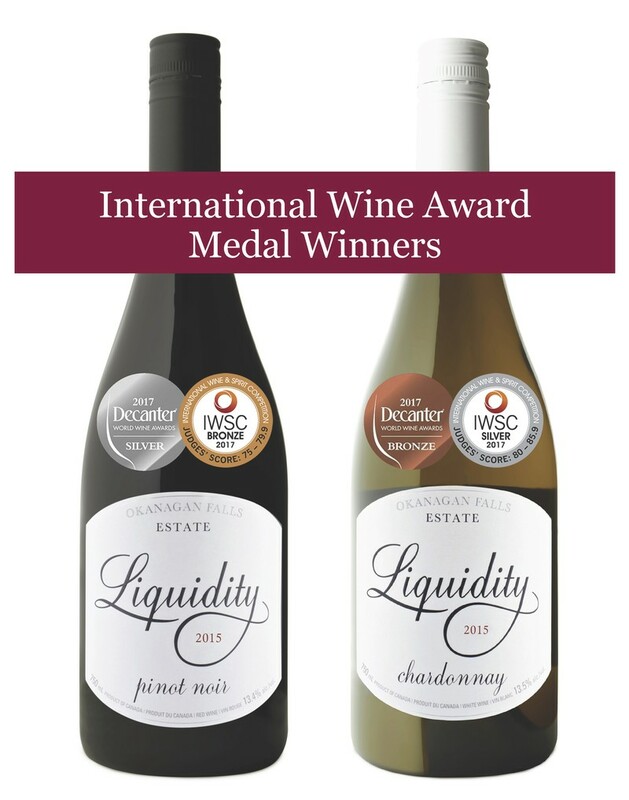 "Liquidity Viognier 2016 Okanagan Valley Total Production 1,150 cases. Clone 642, planted 2005 and 2008. 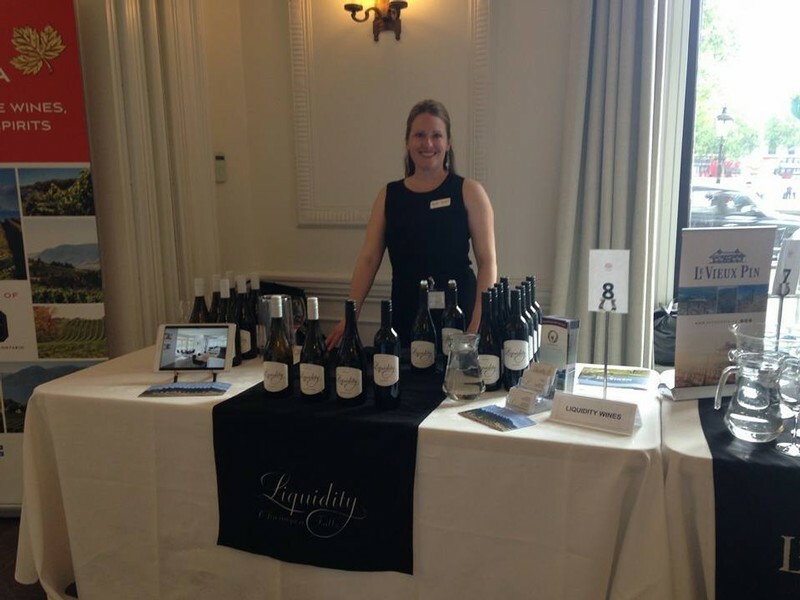 "Liquidity Chardonnay [Estate] 2015 Okanagan Valley Planted 1994 and 2009. Clone 76. 384 cases. For the first time Liquidity has dedicated its entire gallery space to a special retrospective of David's work. The show entitled OCEAN features the artist’s own selection of thirteen of his favourite images captured as he explored the World’s oceans.This show runs now through July 2nd. This past Saturday morning, David was on hand for a "Walk & Talk", to explain each of the photographs and his inspirations to approximately twenty people who reserved the free tickets online. 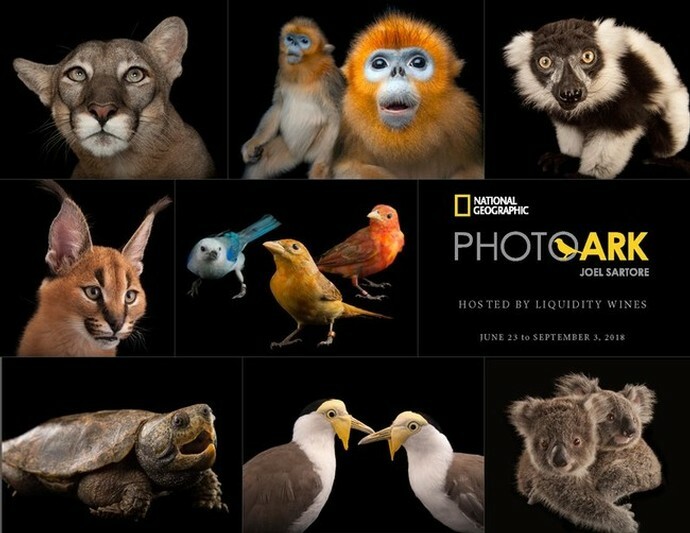 To see the amazing images in person, stop by Liquidity before July 2nd. The tasting room is open from 11am to 6pm daily, and the bistro is open from 11am to 9pm daily. No reservations are required to simply view the artwork. 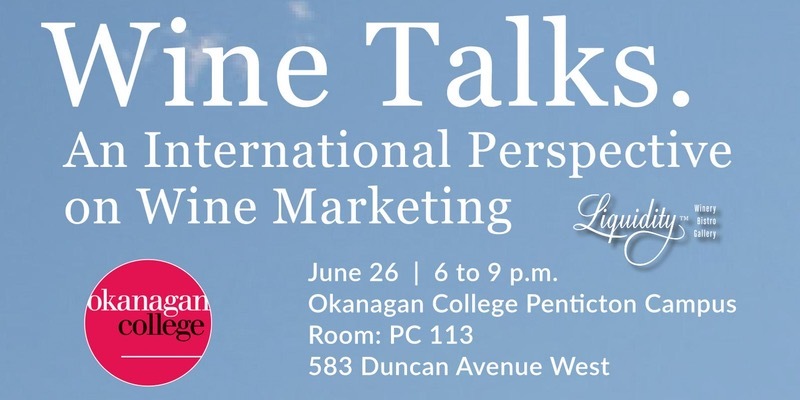 Liquidity Wines and Okanagan College have partnered once again to bring Wine Talks: an International Perspective on Wine Marketing to Penticton on Monday, June 26 from 6-9 p.m. at Okanagan College. The spring event will feature a panel of five renowned experts who will discuss a variety of current and emerging issues related to wine marketing. Joining him is founder of WineDrops, Karen Graham. 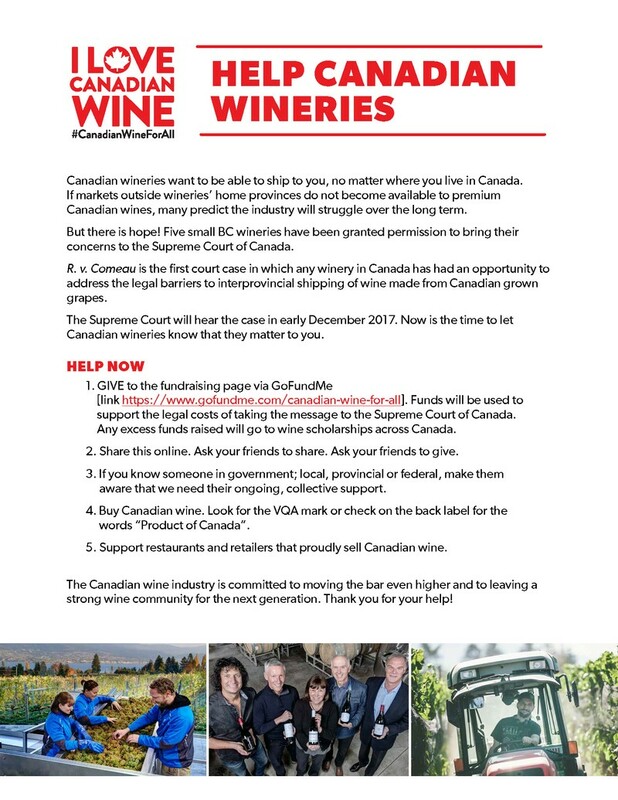 WineDrops offers commentary on policy and business issues in the Canadian wine and liquor industry, along with analytical and strategic advisory work through KMG Strategy Consultng. Prior to working in the wine industry, Graham held several senior level policy positions with the Business Council of BC and the United States Consulate in Vancouver. 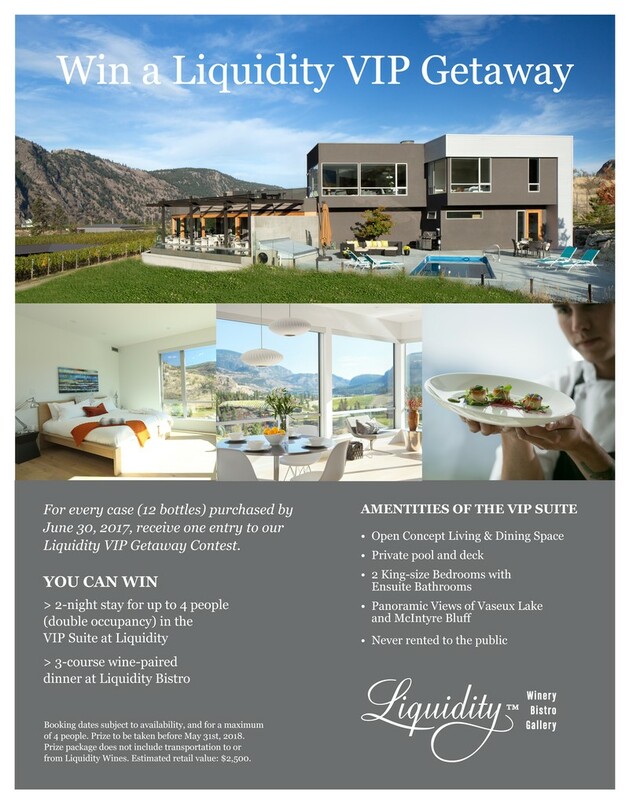 Win a Liquidity VIP Getaway! This past Saturday morning, a crowd of art-lovers gathered in the tasting room before regular opening hours to listen to artist Jeff Burgess describe his latest piece, "The Dinner Party", which is now featured on the main wall adjacent to the tasting bar. 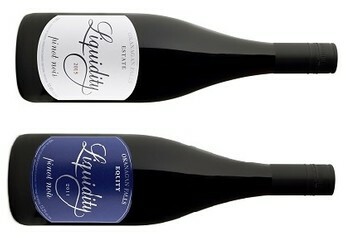 This is a piece that Liquidity Wines has commissioned and that Jeff has worked on over the past year now. Jeff's initial inspiration for this ensemble piece was from the Mad Hatter's Tea Party in Alice in Wonderland. He immersed himself in David Day's book Alice's Adventures in Wonderland Decoded and found many fascinating metaphors that Lewis Carroll had hidden in the story, and that is where the idea of an At Table scenario first presented itself. 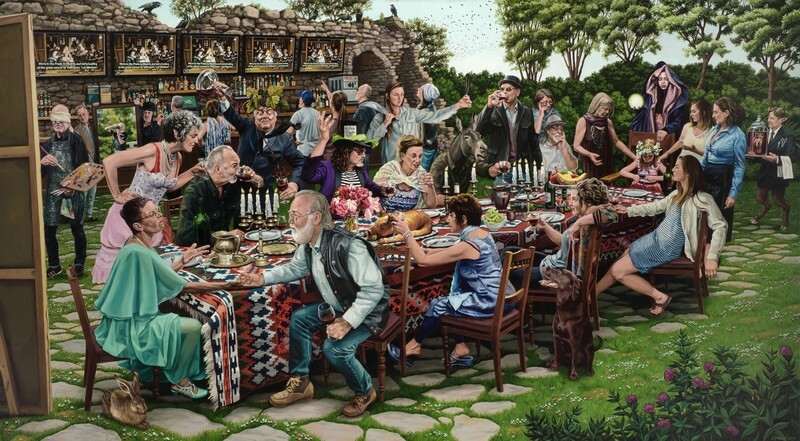 This wonderful, whimsical piece is full of numerous allegorical themes that reference art history as well as literary and mythological sources. To see it in person and to read through Jeff's description, please stop by the tasting room. Open daily from 11am to 6pm.